Kevin De Bruyne believes Mohamed Salah should, and indeed will pick up the PFA Player of the Year award this season - but admitted that he would prefer to vote for one of his Manchester City teammates. Both players have enjoyed scintillating campaigns and have been instrumental in their respective side's success, with the Belgian's overall contribution helping to fire the Citizens to the Premier League title, while the Egyptian ace's goals have been pivotal in the Reds' Champions League campaign this year. However, amid what looks a two-horse race for the accolade, the 26-year-old revealed to NBC Sports he believes it is the Anfield man who should be the one crowned for his incredible term. "Yeah, I think if you can choose nobody from our team, I think he [Salah] deserves it", De Buryne said. Probably he's going to win it anyway. "He's been remarkable and to compete with somebody that's scored that many goals, you're not going to win. I'm very satisfied with my performances this year, with the team." 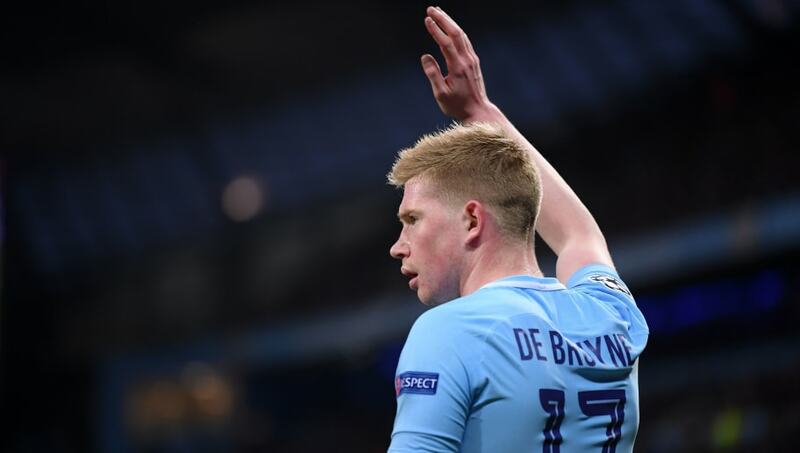 David Silva, Leroy Sane, David De Gea and Harry Kane have also been nominated for the award, but with players not allowed to vote for themselves or team-mates, De Bruyne's options are limited. However, the World Cup-bound attacker insisted that if he were permitted to do so, Silva, whose son was born prematurely in December, would get his vote. "For me, I think if I could vote personally, I would vote for David", he added. "The situation he had this year with his little son and been always away, no training, and performed the way he did, it's been incredible. But if Salah gets it, he deserves it as well." De Bruyne has had the chance to see his Egyptian counterpart up close and personal on four occasions this term, with City coming out on the losing end in three of them. However, the 26-year-old told believes the trio of defeats at the hands of the Reds, alongside Manchester United's shock derby day comeback earlier this month, will not define Manchester City's season. "The Liverpool game away was a little bit [50-50], but I think the way we played against United and Liverpool at home showed that we performed well", he concluded. "I think in those games we deserve to win, but we didn’t. That’s football; you have to pick yourself up and be confident. The season’s been unbelievable, and these three games aren’t going to define our season.